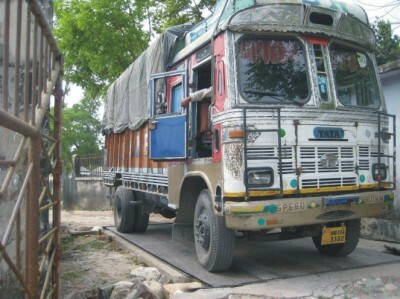 New Delhi, Feb 14 : India may soon open land routes across the north-eastern border to import motorcycles, electronic items and white goods such as air-conditioners and refrigerators from Bangladesh. “New Delhi is seriously examining Dhaka’s request for opening up land Custom stations across the North-East border for import of motorcycles and electronics items to cater to demand from the North-Eastern States,” a Commerce Department official told Business Line. India recently introduced a zero Customs duty regime for all exports from Bangladesh (except liquor and tobacco) which generated demand for a number of products, including cheaper electronics and motorcycles made in the neighbouring country. India allows motorcycles and electronic goods only from the Petrapole land Customs station in West Bengal, but as the demand for these goods is mostly from the North-East, the high transportation costs make exports unviable. The Commerce Department has instructed the office of the Directorate-General of Foreign Trade to examine the infrastructure at the various land Customs stations across the north-eastern border to see if they can support such transactions and if upgradation is required. “We expect to take a decision soon,” the official said. Recently, Bangladeshi Commerce Minister Ghulam Muhammed Quader had told Business Line that despite getting orders from India’s north-eastern States, Bangladeshi manufacturers were not able to deliver as exporting through Petrapole increased costs several fold. “We have requested the Indian Government to allow exports across posts in the north-eastern border to make the exercise viable,” he said. Bangladeshi companies, including Walton Hi-Tech Industries Ltd and Runner Group, received orders from India for motorcycles, refrigerators and air-conditioners at the Guwahati international trade fair last year, according to reports in the local media. “There is a huge trade imbalance and we are making all efforts to help Bangladesh increase its exports to India. Since we did not face any opposition from the industry when we allowed duty-free access to Bangladesh, there is no reason why they should agitate now,” the official said. India exported goods worth $3.7 billion to Bangladesh in 2011-12 and imported goods worth $ 584 million.